A general purpose RS232 to RS422 isolated interface converter for up to 38400 baud. 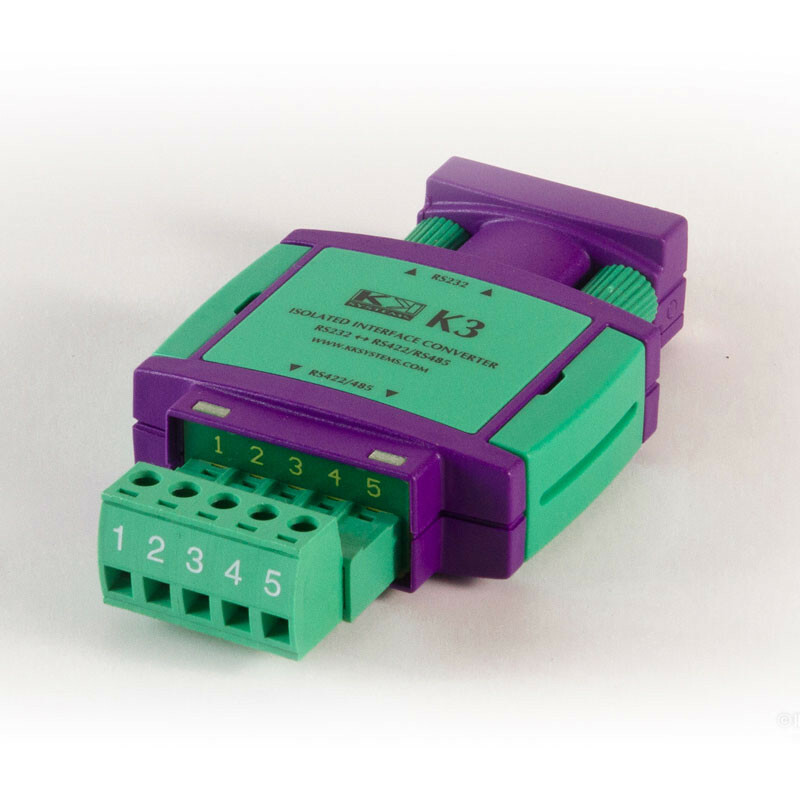 Can also be used for RS485 if driver control is not required or if the RS232 device provides RTS Control. The K3-TB can also act as a Master on a 4-wire "RS485" bus. This converter has a female DB9 connector on the RS232 port and a terminal block on the RS422 or RS485 port. Do not confuse the K3-TB with imitations which claim to be self-powered but which in fact require power to be supplied to both sides of the converter, or which require about 40mA - far too much for any PC interface to supply.